The term “Athlete’s Heart” is used to describe the changes that occur in the heart in order to adapt to the increased demands of training. This process of adaptation is a gradual and continuous one, occurring over months to years. There is an increase in the size of the heart and the thickness of its walls. You could think of Athlete’s Heart as a normal heart but bigger. The extent and rate at which the changes take place are proportional to the amount and type of exercise performed by the athlete. Weightlifters develop more thickening of the heart muscles whereas marathon runners increase the volume of the heart without much increase in the thickness of the muscles. Endurance cyclists and swimmers are similar to marathon runners. Their exercise is ‘aerobic’, meaning that the energy for their exercise is obtained from oxidation of carbohydrates, fats or proteins, in the presence of enough oxygen supply. In order to get enough oxygen, the amount of blood being pumped out with each heartbeat is increased so that more oxygen can be supplied to exercising muscles. Thus the volume of the heart increases much more than its thickness. In contrast, weightlifters work against increasing resistance as they lift heavier weights. They do not need to increase the volume of blood with each heartbeat but they need to work against higher resistance. Therefore, the thickness of the heart muscle expands to meet the increased stress. Elite athletes also have lower heart rates than normal people who do not exercise, in the region of 35 to 50 beats a minute. They may also have changes on their electrocardiograms (ECG), which could be confused with the presence of heart disease. The types of heart disease that are often confused with “Athlete’s Heart” include cardiomyopathy, Sick Sinus Syndrome and heart block. Further investigations such as echocardiograms, Holter ECG, and cardiac MRI may be required to distinguish between these conditions. Dangers of overtraining Athlete’s Heart is not associated with any symptom. In fact, an athlete is at the peak of physical health due to training. 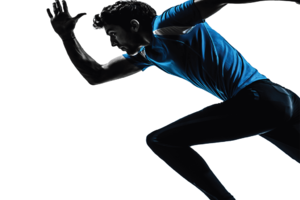 If an athlete has symptoms such as chest pain, breathlessness, palpitations or blackouts, it usually indicates the presence of heart disease and not Athlete’s Heart. Therefore, he or she should consult a specialist to exclude the presence of heart disease. 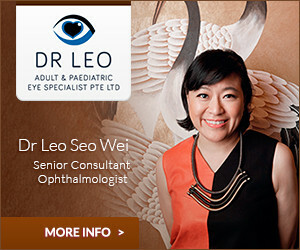 View all of our Singapore Cardiologists here.